This ballot is now closed. Are you our one in a million? To celebrate our membership programme Possibilities reaching ONE MILLION members we’d like to offer you – our one in a million – the chance to win the incredible ‘Saga Pass’ prize of a 10-night cruise for two, a 14-night, all-inclusive holiday for two, plus free home and car insurance. Whet your appetite for discovery on a 10-night four-country cruise for two, including France and Spain, departing 7 October 2019. Prize includes a chauffeur service to the port, all meals on board, entertainment and activities, a welcome cocktail party and captain’s dinner. 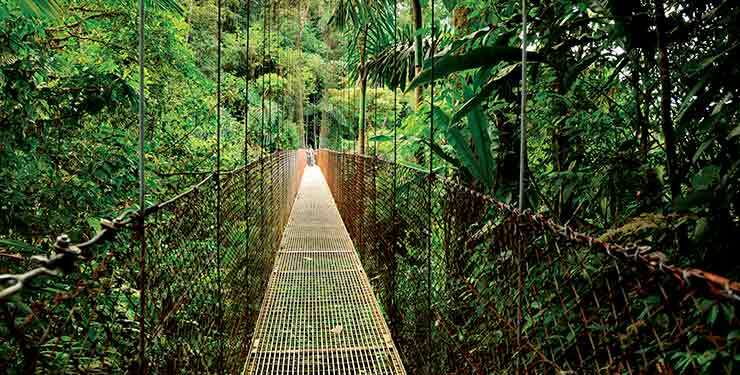 The secrets of Costa Rica are unravelled on this best-selling, 14-night all-inclusive The Jewel of Central America tour for two. Prize to be taken on any open departure between September and November 2019 upon availability and includes VIP door-to-door travel service, return economy flights from Gatwick to San Jose with British Airways, hotel accommodation, all meals and a free bar. Be covered on the road for a year with free five-star rated car insurance. Receive free five-star rated buildings and contents cover. Once the ballot has closed and the winner has been drawn, they will be notified by email or phone within 10 days of being chosen. The prize and details on how to redeem this will be given to the winner by post, email or by telephone. The prize for the winner is non-exchangeable, non-transferable and no cash alternative is offered.